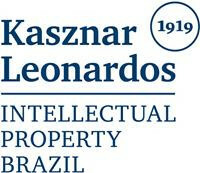 With more than 30 years’ experience in intellectual property, Filipe da Cunha Leonardos is a senior partner at Kasznar Leonardos Intellectual Property and head of the firm’s trademark prosecution department. Mr da Cunha Leonardos practises in the areas of trademarks, geographical indications, litigation and dispute resolution, and acts in trademark registration and administrative and judicial litigation. He has been a member of the Brazilian Bar Association since 1987 and is a registered industrial property agent. Mr da Cunha Leonardos is a reputed IP expert and is cited in some of the most important international publications, including Latin Lawyer 250 and the Legal 500 – Latin America. 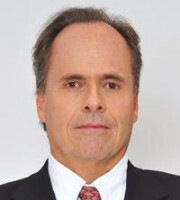 He is a former treasurer of the Brazilian Association of Industrial Property Agents and a member of the Brazilian Association of Intellectual Property, INTA and the Institute of Trademark Attorneys, the International Association for the Protection of Intellectual Property, the British Chamber of Commerce of Rio de Janeiro and the American Chamber of Commerce of Rio de Janeiro. Mr da Cunha Leonardos graduated in law in 1985 from the Pontifical Catholic University of Rio de Janeiro and completed his postgraduate qualification in IP law in 1987 at Queen Mary’s College, London. He speaks Portuguese and English.